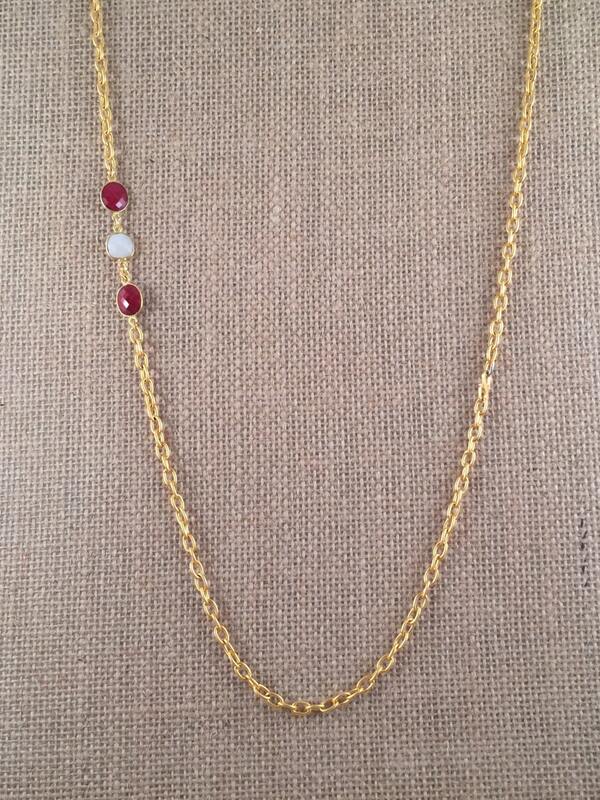 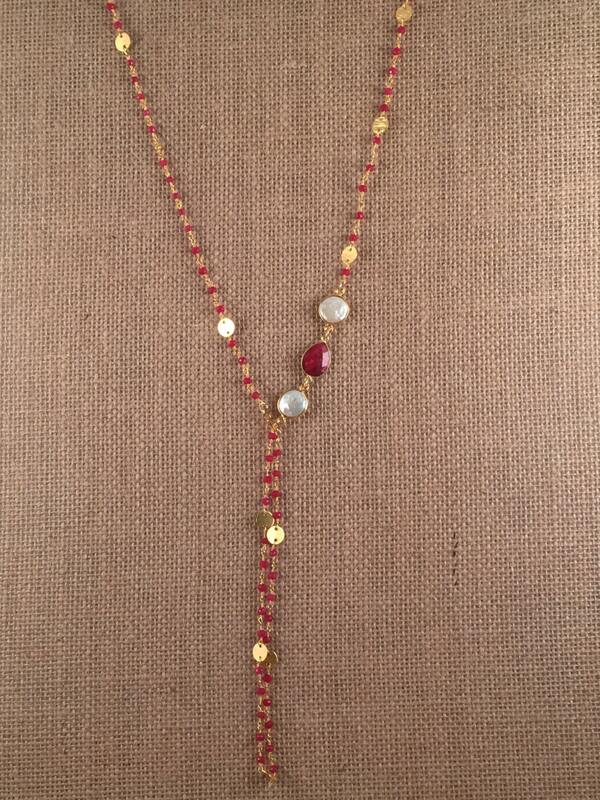 THIS NECKLACE HAS A PERFECT LENGHT (42" LONG) TO USE DOUBLE WRAP OR LAYERED ALONG "GRANADA II NECKLACE". 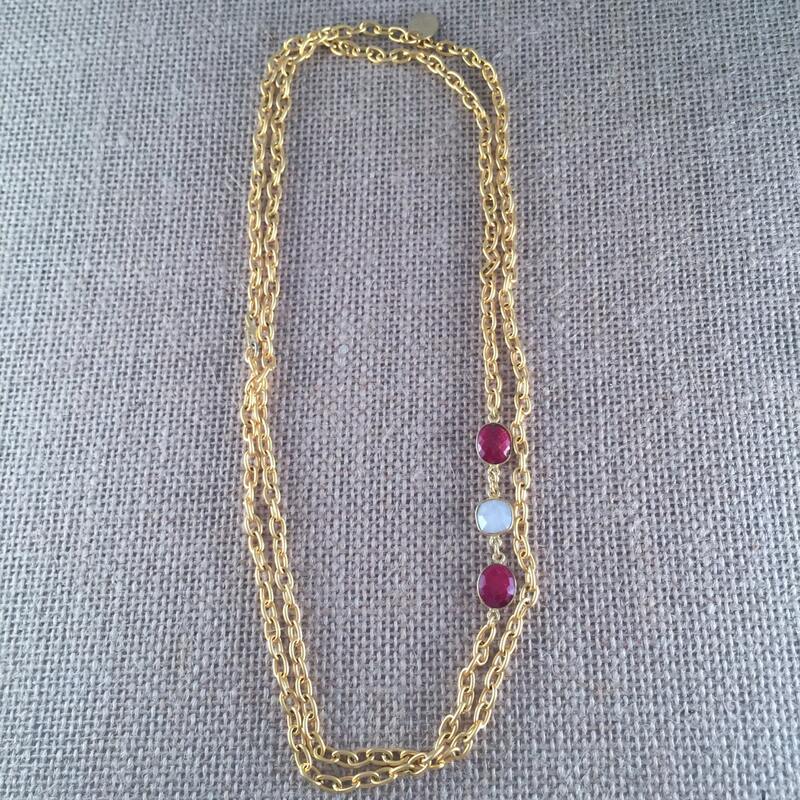 GRANADA I, IS THE COMBINATION OF AN OUTSTANDING GOLD PLATED LINK CHAIN WITH THE TOUCH OF 2 DIVINE DYED RUBIES GEMSTONE AND A BEAUTIFUL FRESHWATER BAROQUE PEARL. 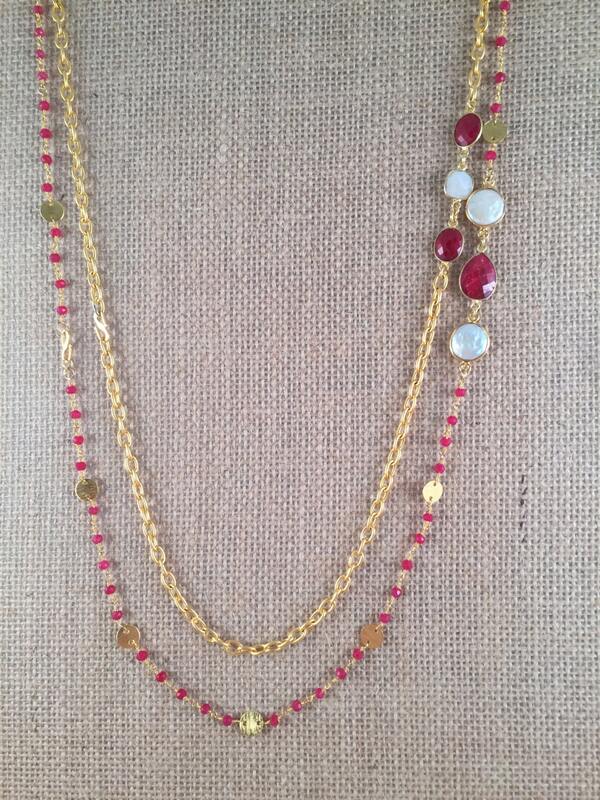 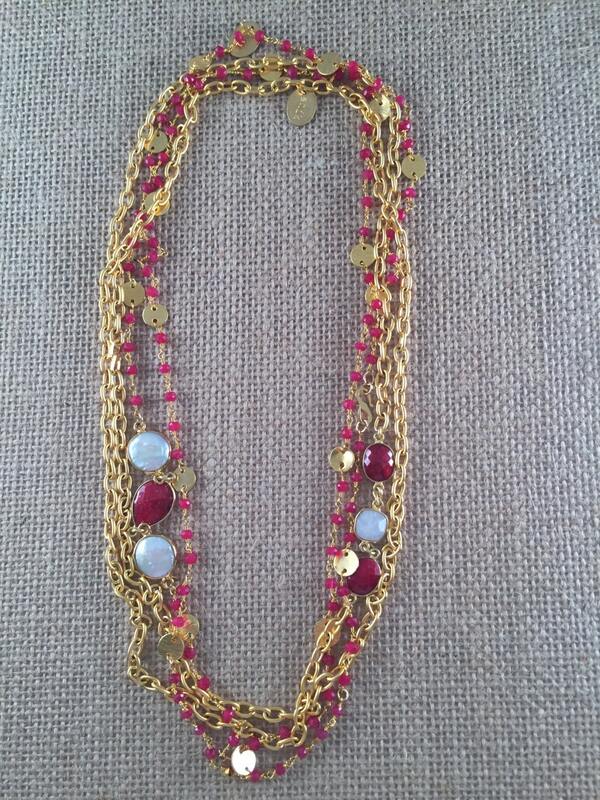 "GRANADA II NECKLACE", THAT IS SOLD SEPARATELY, AS WELL AS EACH PIECE FROM THIS LINE.